How many bits of information can be loaded on a single photon? Will doughnut-shaped pulses of light one day provide novel ways to transfer information? What are the prospects for a quantum internet? Will defects in diamonds and other crystals provide new means of imaging and sensing? These are some of the tantalizing questions raised in “Light, the universe and everything – 12 Herculean tasks for quantum cowboys and black diamond skiers” in the Journal of Modern Optics. The survey of the biggest scientific challenges and questions in quantum optics and optical physics was compiled and edited by more than 30 experts in the field, including two University of Rochester faculty members. The answers to these questions could have a profound effect on our daily lives, says editor in chief Thomas Brown, a professor at Rochester’s Institute of Optics. Optical physics is the study of the fundamental properties of light and their interaction with matter. Quantum optics is the part of optical physics that studies those interactions at the submicroscopic level, looking at how individual particles of light, called photons, interact with atoms and molecules. Quantum optics is a realm where particles act in ways that seem counterintuitive. Consider this example of quantum “weirdness”: two photons thousands of light-years apart can be inextricably linked by a quantum phenomenon called entanglement, so that a measurement of one particle influences what can be predicted about the other. This has given rise to the possibility of a quantum internet that would use entangled particles to send information at very high data rates. And do so in a completely secure fashion because any hacking involving one particle could influence a measurement of its entangled partner, and thus be detected. The lab of Robert Boyd, one of the co-authors of the paper and a professor at Rochester’s Institute of Optics, has demonstrated some of these possibilities. For example, the lab has shown how “twisted light” could be used to transfer 2.05 bits of information per detected photon, using the orbital angular momentum of the photons to encode information. This new approach doubles the 1 bit per photon obtained using the standard procedure of encoding using the polarization of light. It also opens the possibility of a high-dimensional quantum key distribution in which entanglement helps ensure that both the sender and receiver are communicating in such a way that only they know what is being sent –and that the presence of any eavesdropper would be identified. Read more about his work on twisted light here. The paper originated when participants at the annual conference on Physics of Quantum Electronics, meeting in Snowbird, Utah in January 2017, were asked to consider the most important ideas and challenges for the future of optical physics. The setting inspired the unique title, in that “those who aspire to great science implicitly have the same guiding principle that steers powder skiers descending mountains or cowboys driving their herds across uncharted territory: ‘I will find a way or make one,’” writes lead author Suzy Lidstrom, visiting scholar at Texas A&M University. What is the future of gravitational wave astronomy? Are there new quantum phases of matter away from equilibrium that can be found and exploited – such as the time crystal? Quantum theory in uncharted territory: What can we learn? What are the limits for laser photon energies? What are the ultimate limits to temporal, spatial and optical resolution? What novel roles will atoms play in technology? What applications lie ahead for nitrogen-vacancy centers in diamond? What is the future of quantum coherence, squeezing, and entanglement for enhanced super resolution and sensing? How can we solve some of humanity’s biggest problems through new quantum technologies? What new understanding of materials and biological molecules will result from their dynamical characterization with free electron lasers? What new technologies and fundamental discoveries might quantum optics achieve by the end of this century? 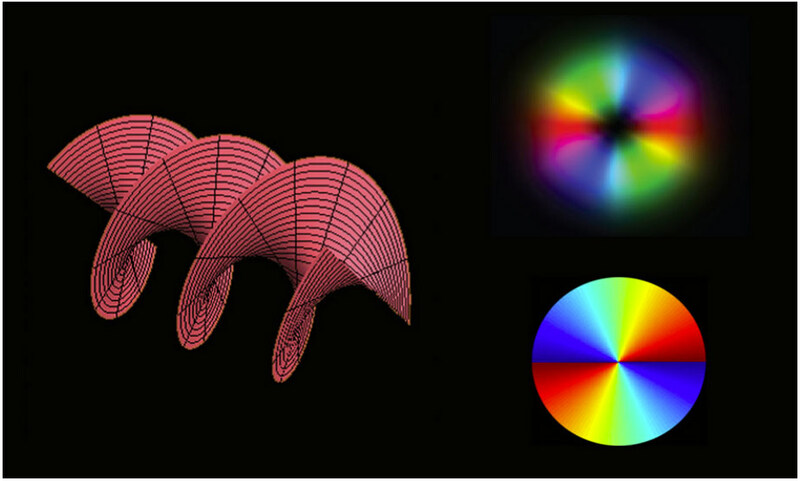 What novel topological structures can be created and employed in quantum optics?